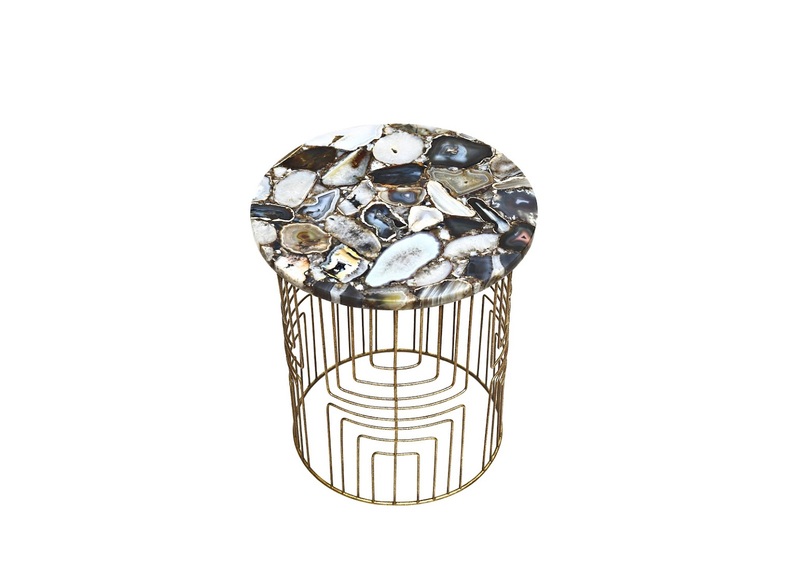 Description: Bring your passion for geology into your home with this black naural agate table It is a modern-style table that can be used as a side, accent, or end table. 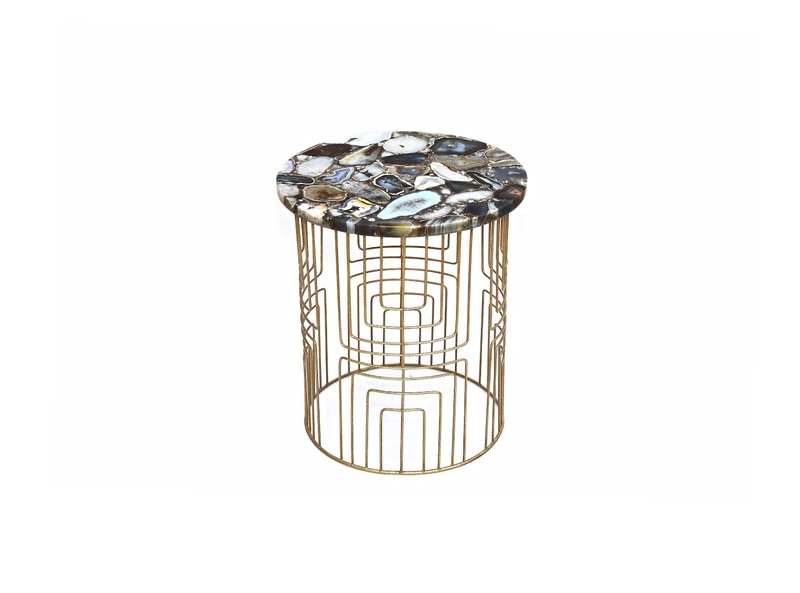 This table has a goldtone finish. Use in a modern or contemporary-style home.